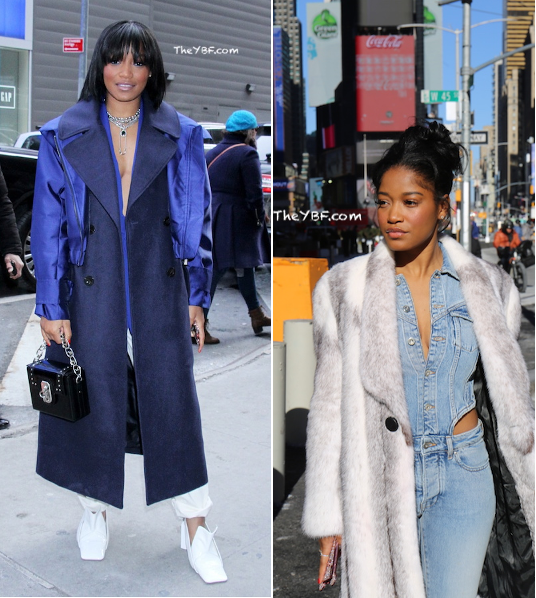 Fashionably Fresh Keke Palmer Does 'PIMP' Talk In NYC Before Hosting The 'Wendy Williams Show' + Find Out Who Else Will Be Guest Hosting! Keke Palmer looked real saucy in New York City this morning as she made her way to the "Michael & Sara Show" to chat about her indie film, PIMP. Executive produced by Lee Daniels, PIMP follows a struggling lesbian pimp named Wednesday (played by Keke) whose fortune changes after her girlfriend Nikki (Haley Ramm) hits the streets. But when Wednesday comes face to face with another pimp (Edi Gathegi), who plays a much more dangerous game, her dreams of ever escaping the life are put at risk. The film also features DMX, Aunjanue Ellis, Vanessa Morgan, Mike E. Winfield, and Edi Gathegi. For her early morning press run, the 25-year-old actress served up 90s vibes in an oversized floor length navy blue blazer that featured a royal blue cropped jacket, white pants, and some funky white chunky heels. The Brotherly Love actress hit the streets in the Big Apple styling and profiling (thanks to stylist Scot Louie) in a Filles A Papa denim jumpsuit, a JunJie fur coat and JunJie boots. Keke will take over daytime television as a guest host on the "Wendy Williams Show" on Friday, February 8th. Additional guest hosts have been added to line up for the popular daytime talk show series, including Nick Cannon, Sherri Shepherd and more. Peep the ful list above. There is still no set date for Wendy's return. In case you missed, see the first Wendy spotting since she has been M.I.A. from her show http://www.theybf.com/2019/01/31/wendy-williams-spotted-for-the-first-ti... ">HERE. 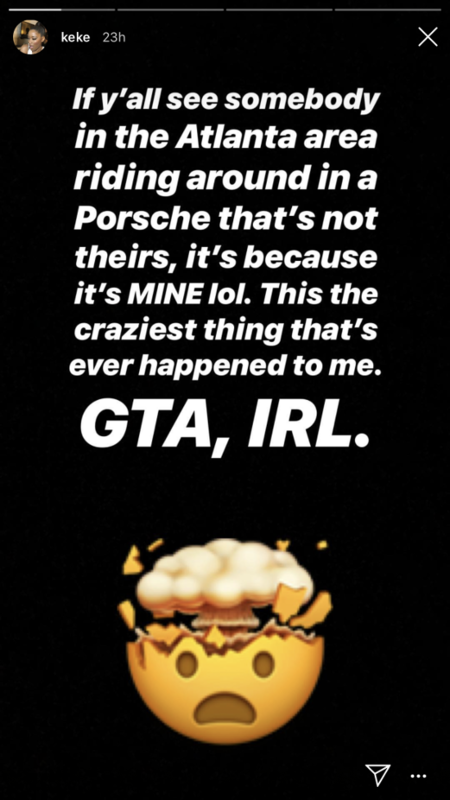 In not so great news, someone stole Keke's Porsche like a scene out of Grand Theft Auto. But, not exactly. It was actually her bestie playing a trick on her. Lordt!